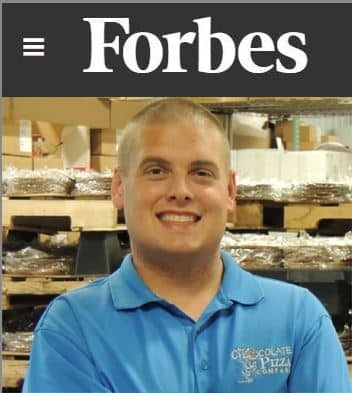 Chocolate Pizza Company in the news! 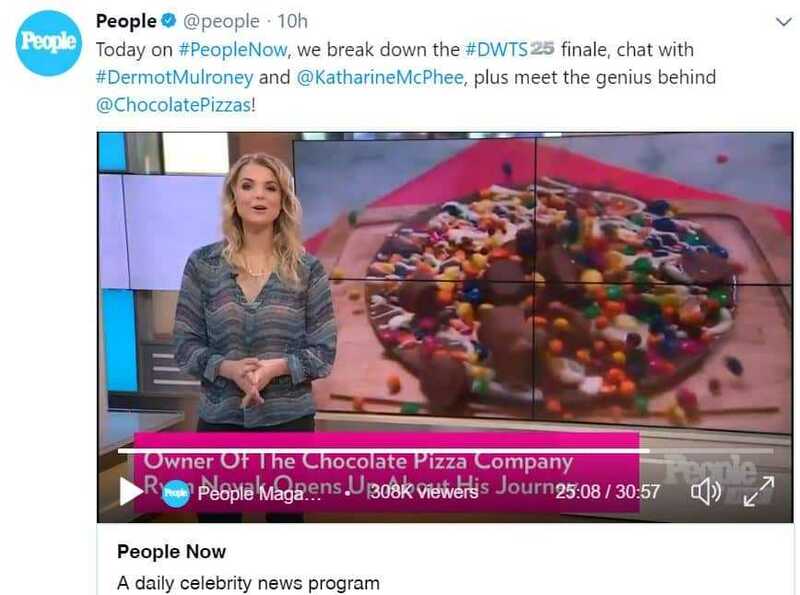 National and regional media find news about Chocolate Pizza Company’s story and products a frequent topic of discussion. 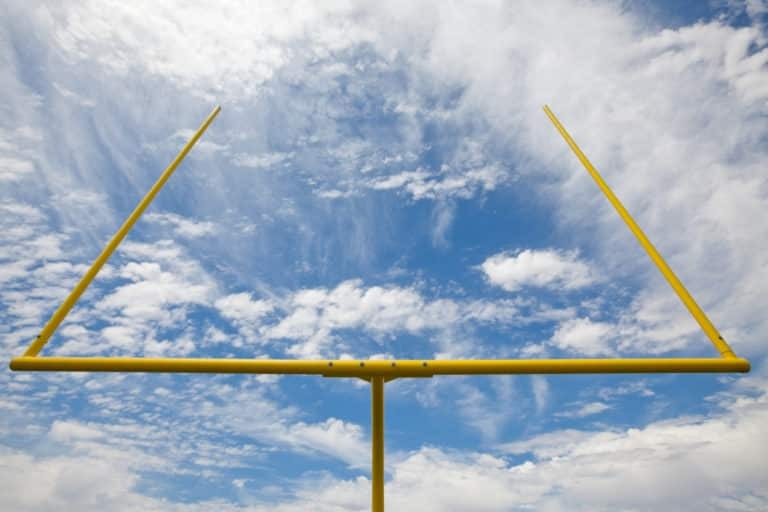 The diversity of coverage, including iconic media sources like Forbes, People, Food Network, NBC, Entrepreneur and more, reflects the broad appeal we have nationwide. 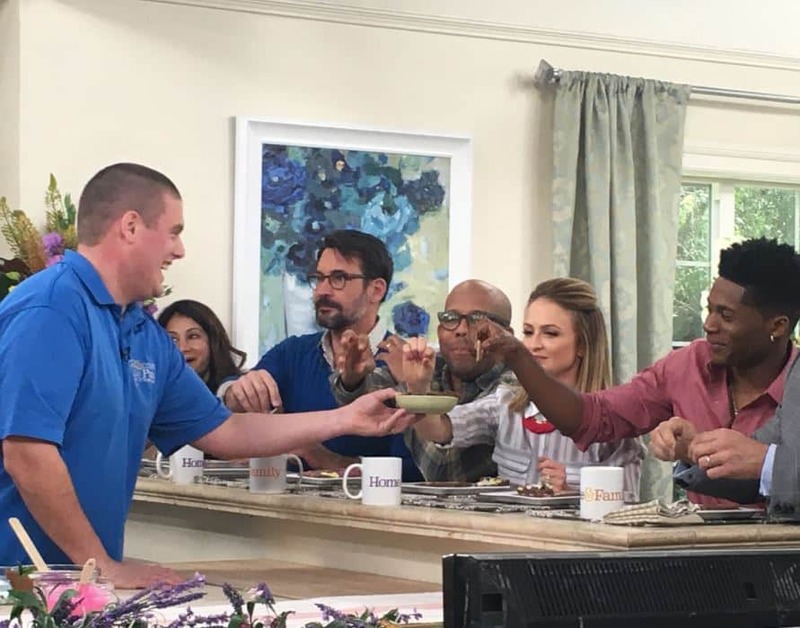 Here is a sampling of news stories, product reviews and media mentions that show why when it comes to Chocolate Pizza and Peanut Butter Wings America loves Chocolate Pizza Company and owner, Ryan Novak.